Excellence in design at Haskell means continuously developing, testing, and refining products. The result is innovative, forward-thinking solutions that redefine product categories. 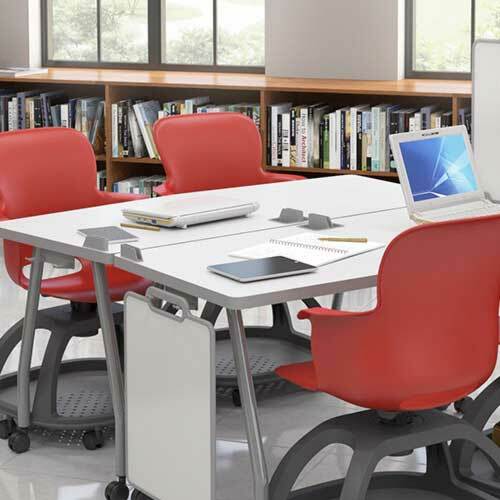 The new FuZion Series makes sitting all day a thing of the past. The Assemble Series of tables by Haskell incorporate sleek, high-design with robustness and versatility. Fully customizable with a spectrum of finishes, support styles, edge profiles, and wire management systems, Assemble fits into every project—even the most demanding. Our tables for conference, multipurpose, and training rooms are both highly versatile and equally customizable for specialty spaces. A variety of surface, support, and technical integration options demonstrate how practical solutions can coincide with clean, efficient design.